Will Buyers Care About the 2015 Chevrolet Corvette Z06's Fuel Efficiency? Hint: Toyota Prius drivers will still hate it. That's a good thing. Although it hasn’t been announced just yet, GT Spirit claims to have gotten a hold of the 2015 Chevrolet Corvette Z06’s official fuel economy numbers. This is leaked info and hasn’t been confirmed by GM, but it sounds realistic. The Z06 will supposedly return 13/23 mpg city/highway, and a combined 16 mpg, when fitted with the optional eight-speed automatic with paddle shifters. Considering the Z06 is powered by a supercharged 6.2-liter LT4 V8 churning out 650 horsepower, those fuel numbers are pretty darn good. 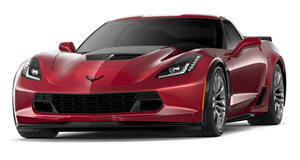 To attain them, Z06 engineers had to apply the latest engine and transmission technologies, such as direct injection, active fuel management, cylinder deactivation, and variable valve timing. GT Spirit also points out that if these numbers are indeed correct, then the Z06 is more efficient than both the Ferrari 458 Speciale and Lamborghini Aventador. But really, who cares about fuel efficiency here. 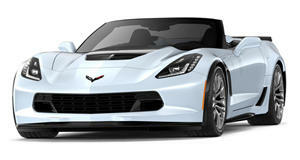 The Z06 is about power and performance, and Z06 buyers likely don’t have a crap about fuel costs.